Research projects discuss the marketing plan for the iPhone From Apple and its success. This is a topic suggestion for a business research paper on the Apple iPhone. 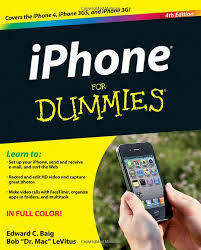 Included in your iPhone research paper should be the marketing plan and its success. Business Case Studies on the iPhone are Paper Masters specialty. The suggestion of thesis and topic for the iPhone From Apple you see here is just a sample case study on the iPhone and merely a snippet of what we can provide you in research. Papers and Case studies are always original and we guarantee each research paper, essay, book report or term paper that is sold by Paper Masters will never be resold and is plagiarism-free. In January of 2007, Apple Corporation quietly announced that it was dropping the word “computers” from its name. At first glance this decision may seem trivial, no more than a reason to shrug and say, “so what?” In reality, however, it indicates a shift in Apple’s corporate direction and in their overall perception of themselves in today’s market. Since its start in the 1980’s, Apple Corporation’s focus has been the PC. Apple was the first to have a visual, user-friendly operating system, surpassing the IBM DOS dinosaurs on their way to greatness. And regardless of IBM and Microsoft’s throttle hold on the business world, Apple has carved itself a niche amongst the public and service industries like education. Continuing with this focus on the individual consumer, Apple, in announcing its name change, is also informing the public that Apple is not just about computers anymore. Apple is tactically positioning itself to be viewed as the technological giant that created iPod and the Apple iPhone, Apple’s newest consumer innovation and certainly a host of other products to come. Overall Corporate Direction of Apple iPhone research paper. In examining the advertising for the iPhone, internet ads, outdoor billboards, television commercials, and magazine ads should all be considered. Using varieties of the same simple design throughout the campaign will create visual branding of the ad to the Apple iPhone in the minds of consumers so that even a cursory glance will cause product recognition. In the case of outdoor billboards, a series of billboards secured along the highway will show a sequence of advertisements linked together in message and simplicity of form. Each billboard will present a different function of the iPhone, so that the series will not only advertise the product itself but educate the public as to its diverse and innovative uses and functions. On the last billboard in the sequence, the slogan will be prominently displayed, which captures the audience. On each billboard the website for more information will be written out, so that commuters can easily memorize it even while driving. The slogan itself as well as the multiple functions, the versatility, and the novelty of the iPhone will invoke in consumers the curiosity, drive, and desire to take a look at the website to learn more. There, again, the iPhone will be advertised and available for sale. This same billboard sequence would also be perfect for subways and metro commuter trains. For the television ad, to create that drive and desire to purchase the iPhone, popular channels with a wide audience are the best venue, with infrequent presentations of the ads. For maximum message without overloading viewers, the best frequency is between three and ten times. At that point, viewers are known to have received the message and now respond to it automatically. Showings beyond this begin to bore and irritate consumers. Therefore, the perfect balance of popular networks and infrequent showings will obtain the best results. Microsoft's Marketing Strategy research papers discuss how Microsoft is in a high-stake race with Google and other search engines for the next new thing. Technology and Contemporary Society - This is a case study on the Apple iPhone. Included will be the marketing plan and its success. Cellular Phone Industry - Offer some analysis on the popularity of the various products as well as the providers. Virtual Learning Environment Research Papers - hand-held device (e.g., iPhone, iPad), and participate in an interactive cooking demonstration complete with a voice-over narration and virtual assistant. Business Structures: The Corporation Research Papers discuss the business structure of The Corporation. Corporate Culture and Innovation Research Papers - A corporation's culture determines the level of innovation in the company. Paper Masters writes custom research papers on iPhone From Apple and presents a Case Study on the Apple iPhone.